Temple Pavada. 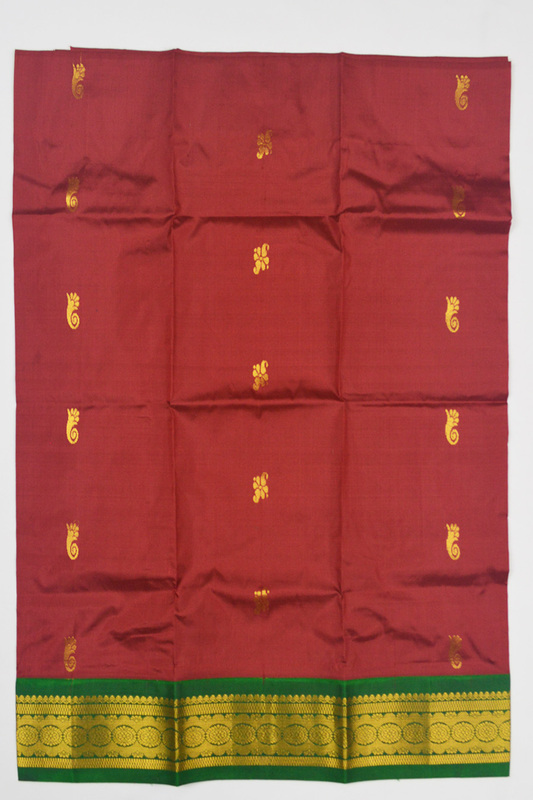 Maroon with Korvai Green border woven with Zari. Ideal for Urchavar Alankaram.